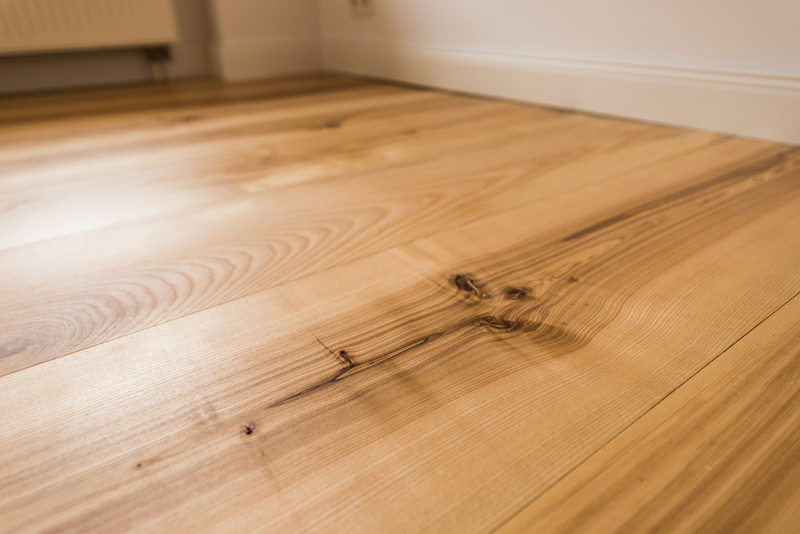 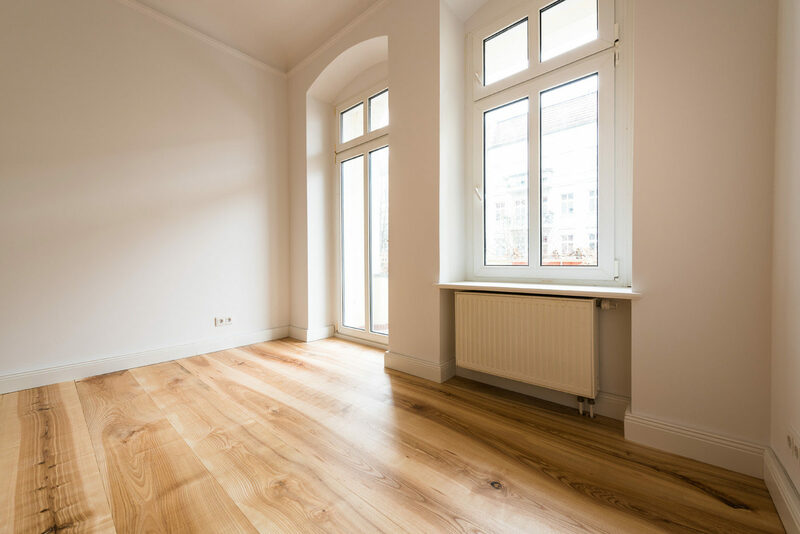 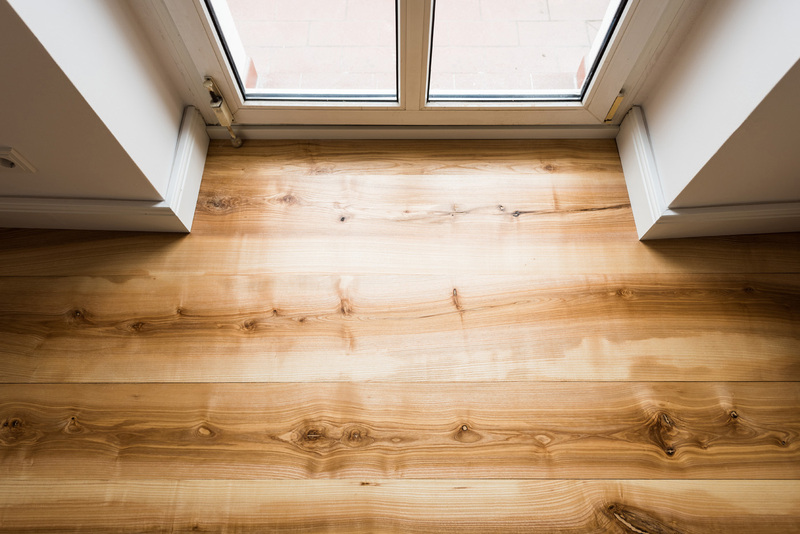 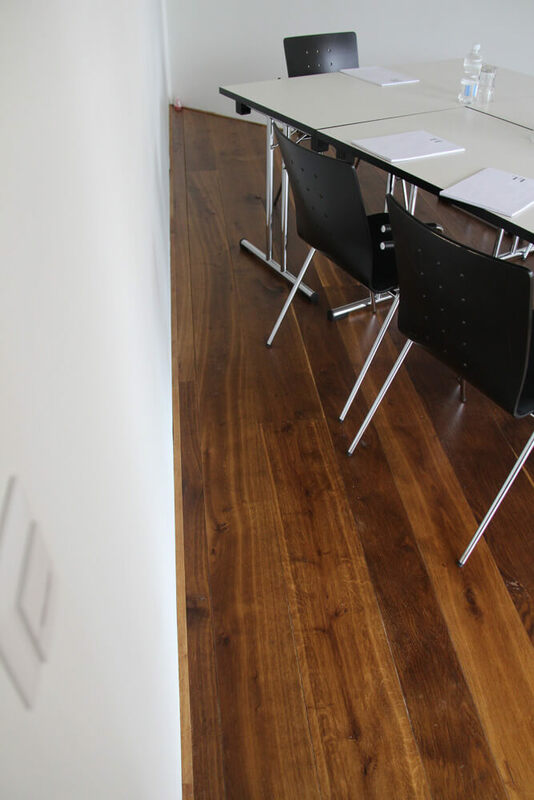 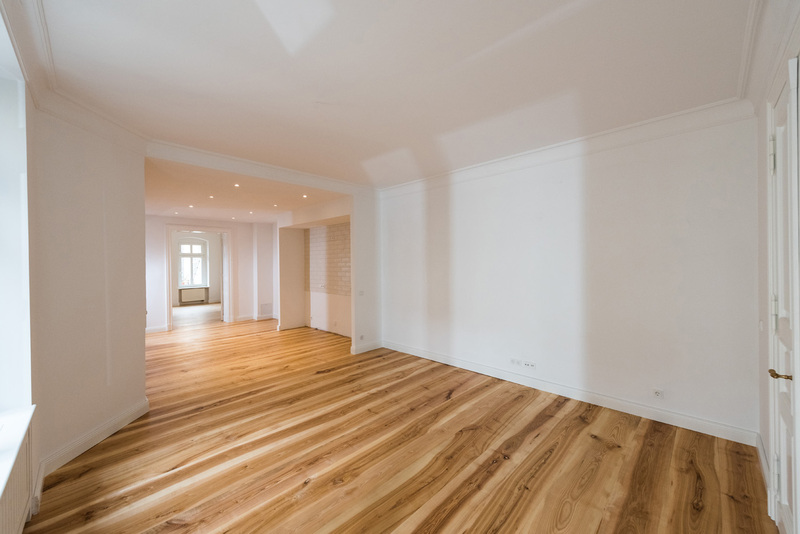 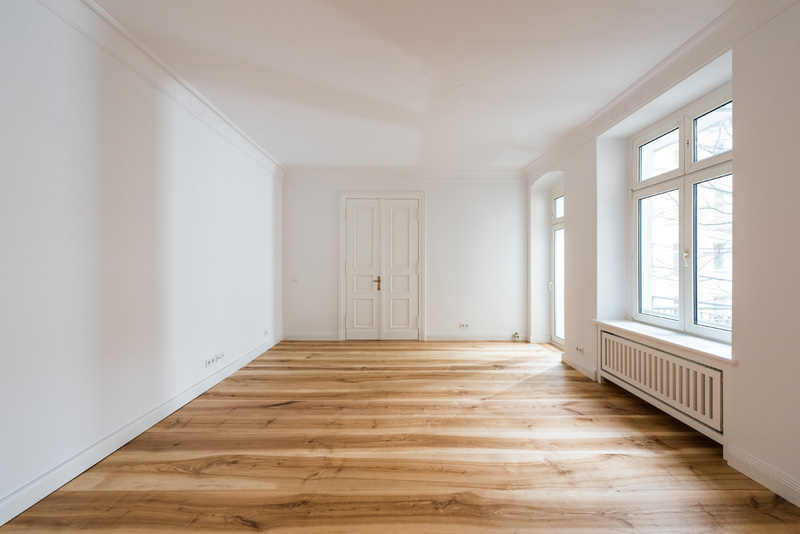 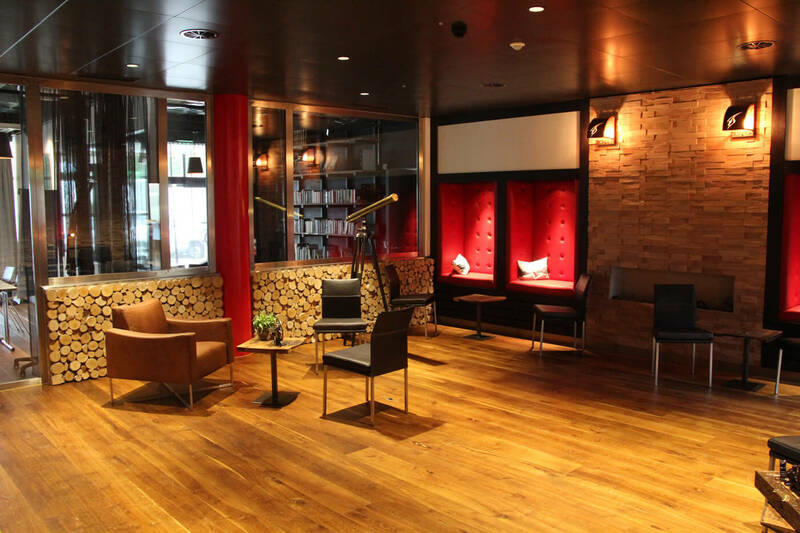 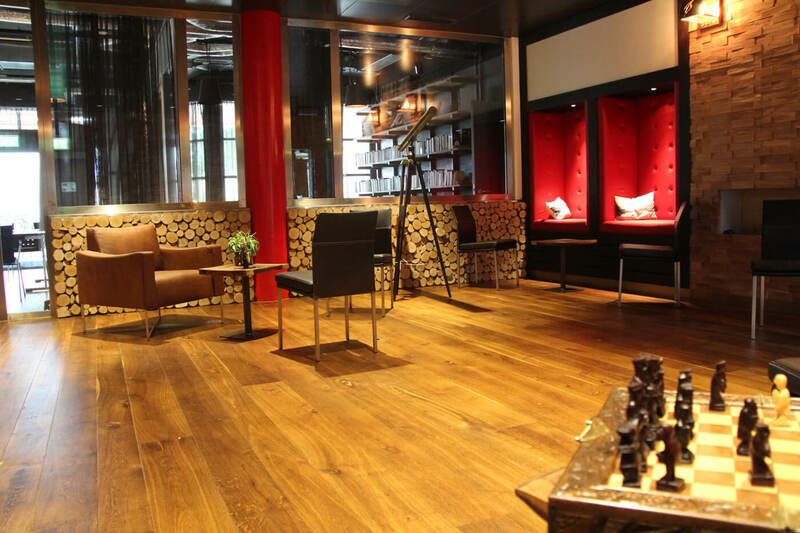 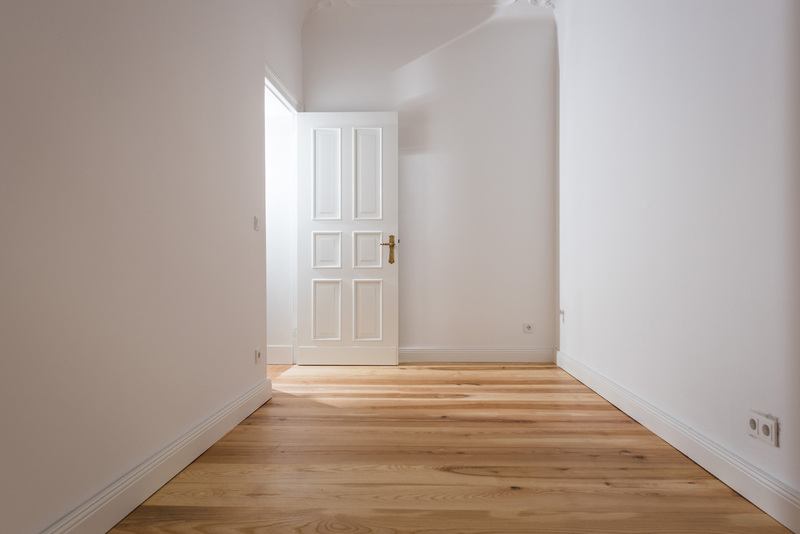 Our solid wood flooring is very durable and of lasting value. 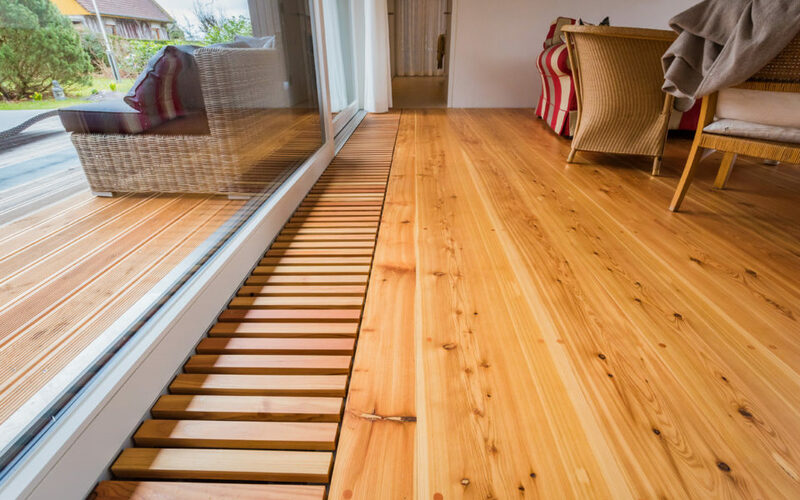 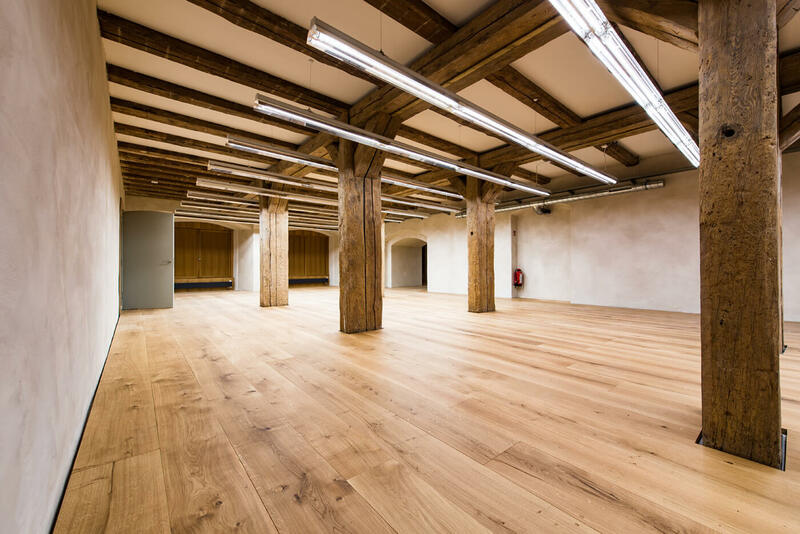 Your family or your business will enjoy the warmth and beauty of your custom-made plank flooring for generations to come. 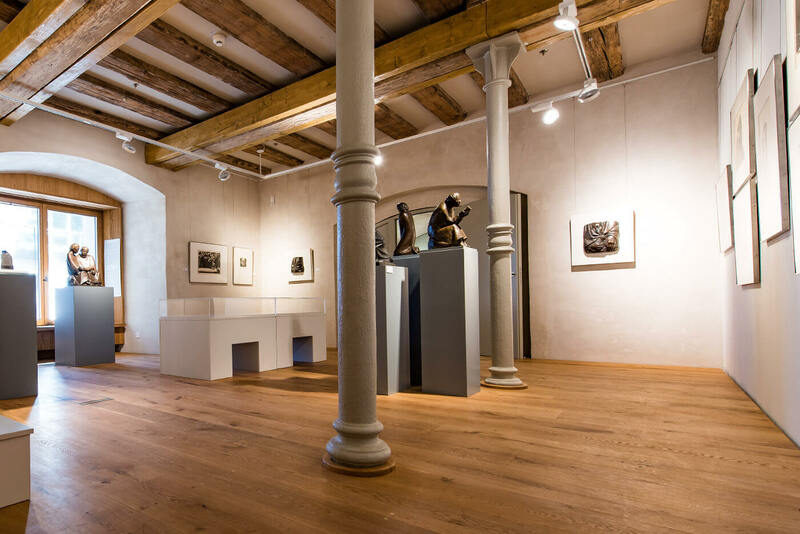 During the reconstruction of the old water tower in Bad Saarow, the architect allowed his imagination to run wild. 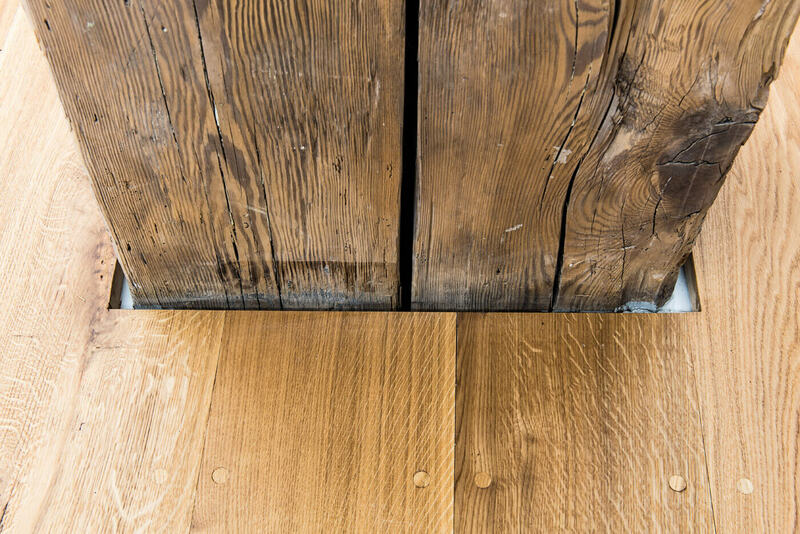 Here the oak planks were stained dark after installation. 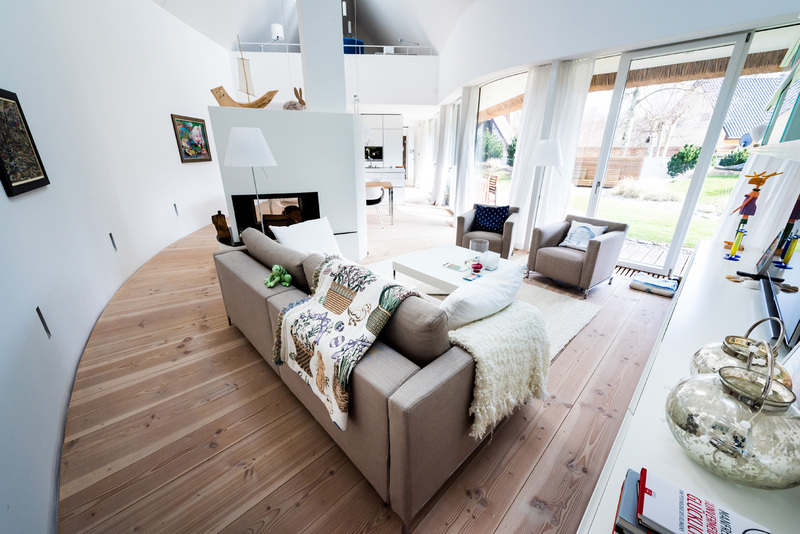 The result is perfect – a solid background for the colorful autumnal design. 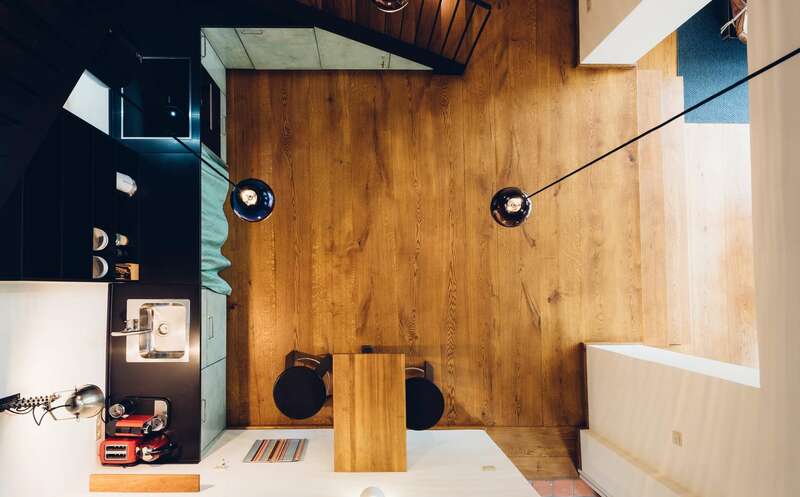 The design of this family home presented a special challenge. 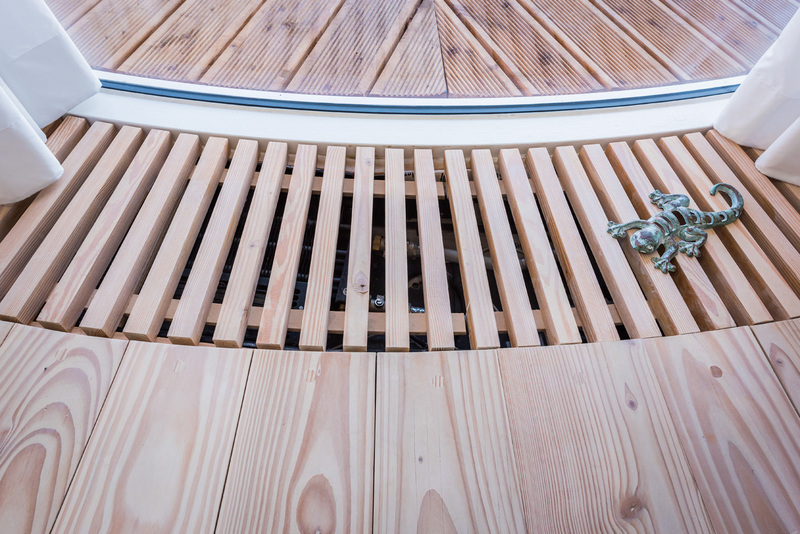 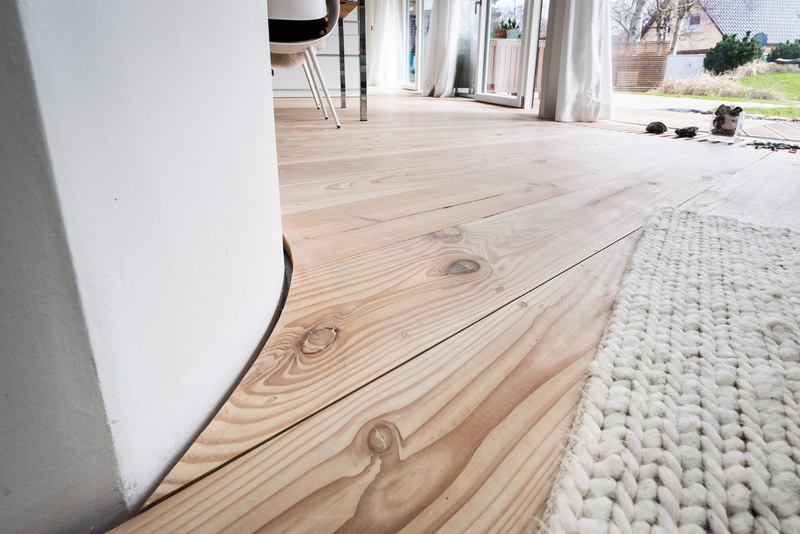 The round shape of the house and other components required the laying of strongly tapered, room-length planks. 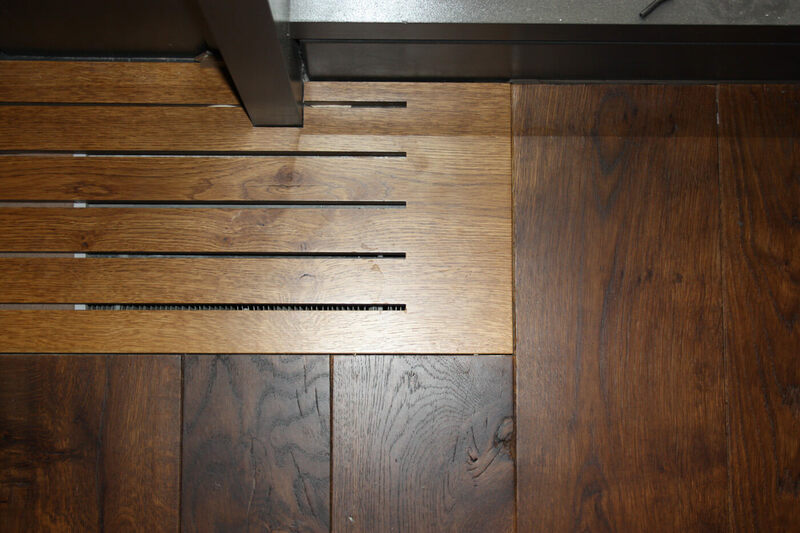 The production of the gratings for the floor convectors required additional skill from our craftsmen. 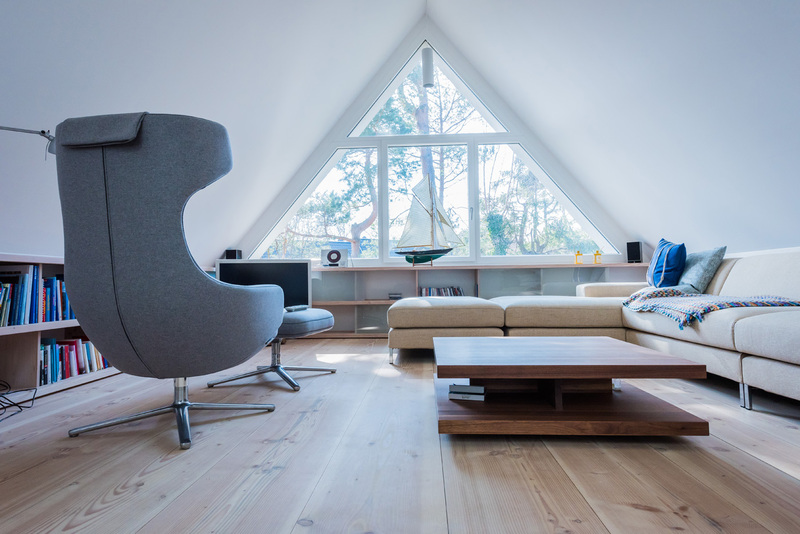 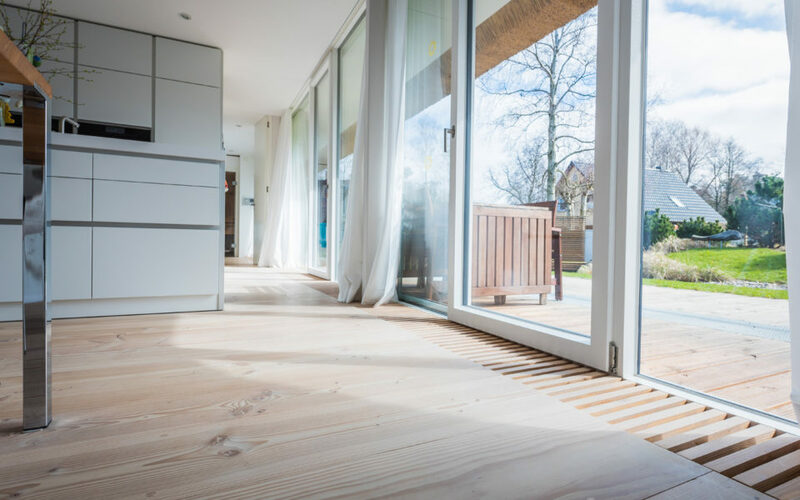 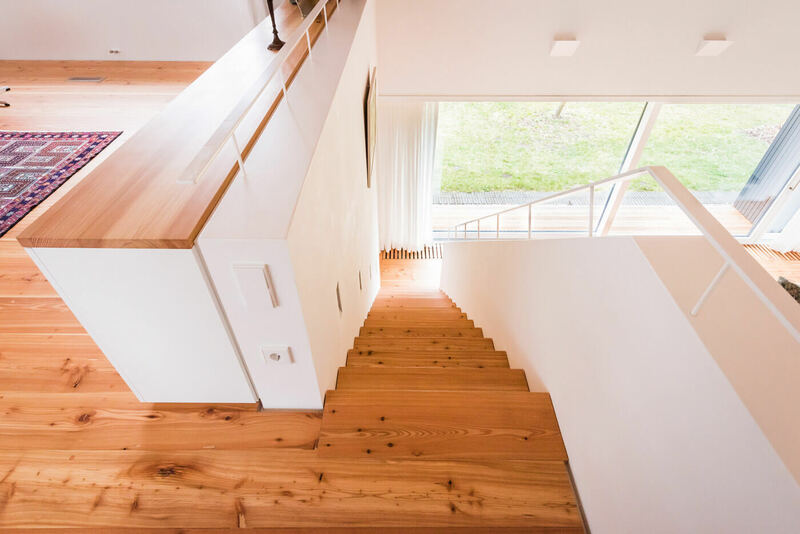 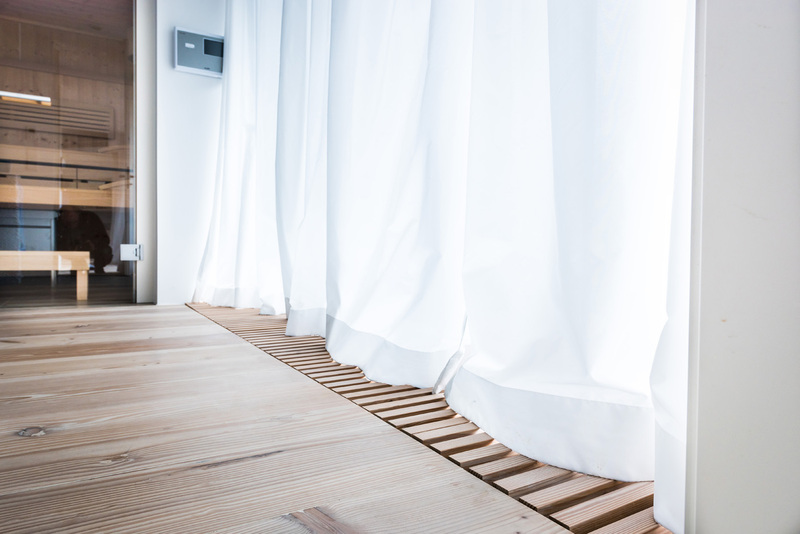 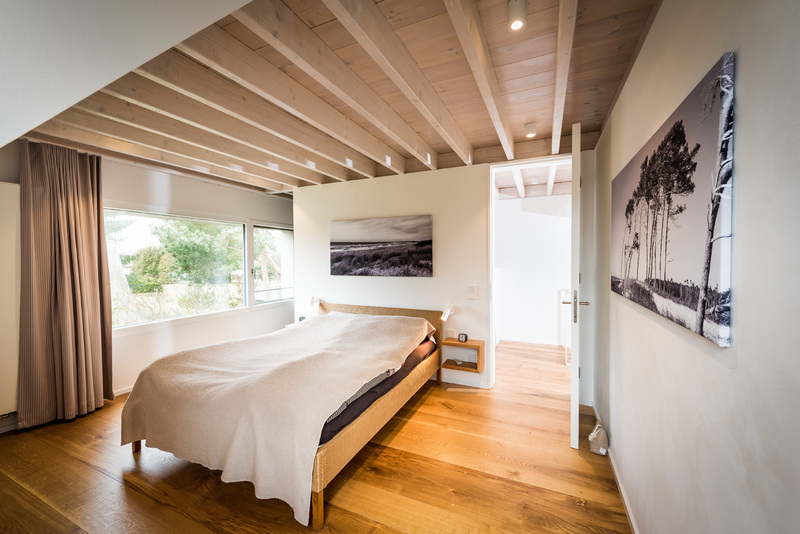 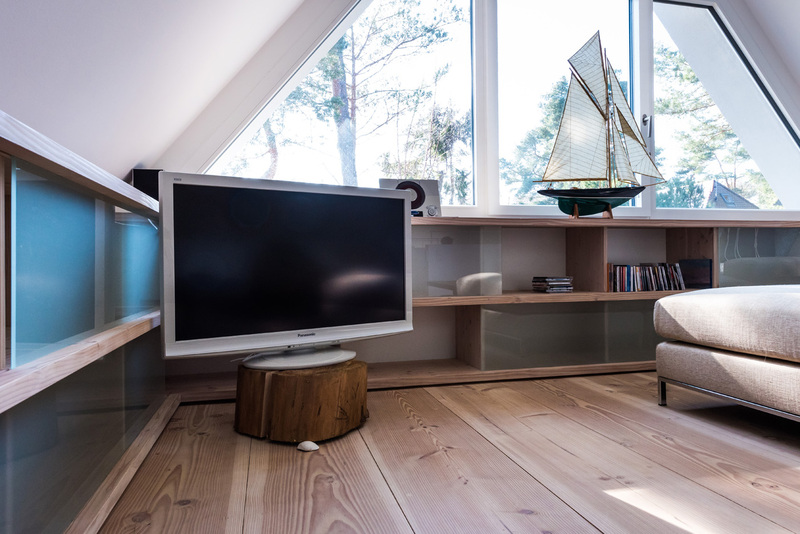 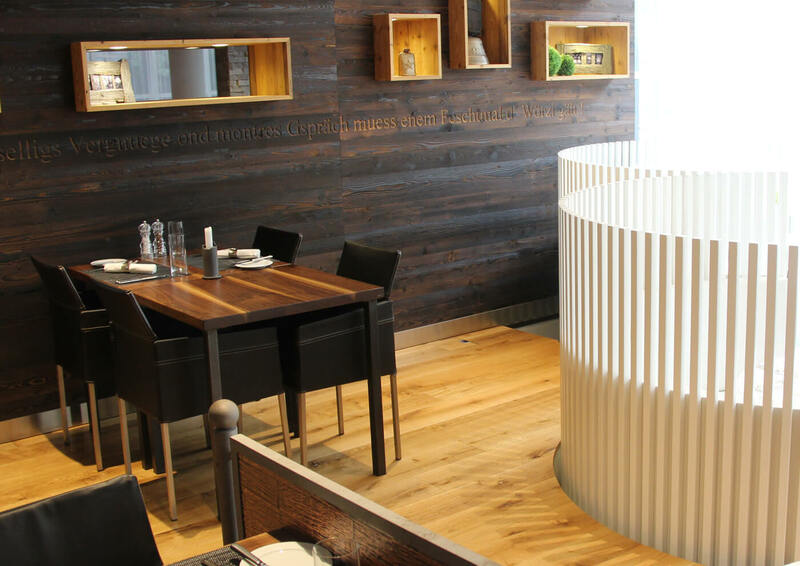 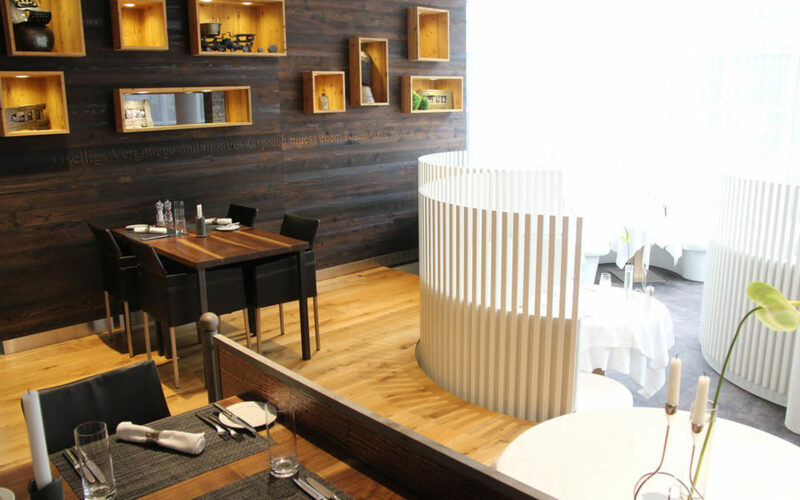 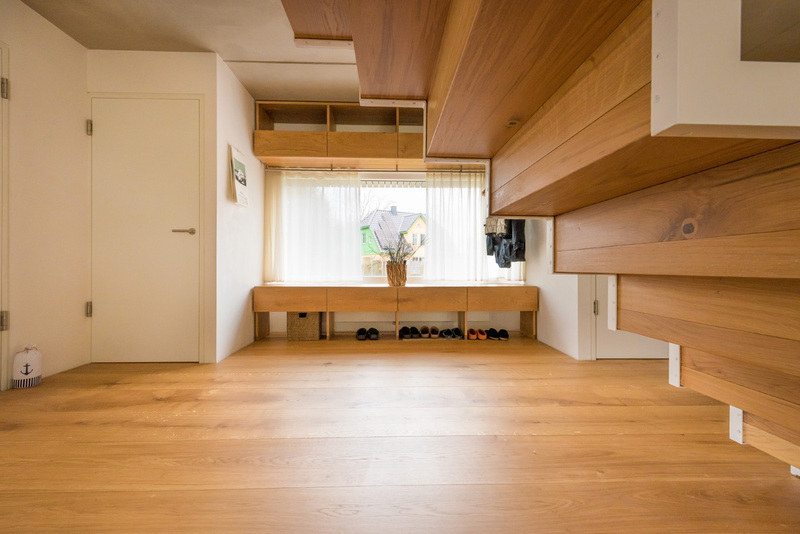 Due to the white stain of the surface, the result is a particularly airy, light atmosphere, which still preserves its down-to-earth character through the timber. Here, the grain of the room-length Ash planks sets the tone. 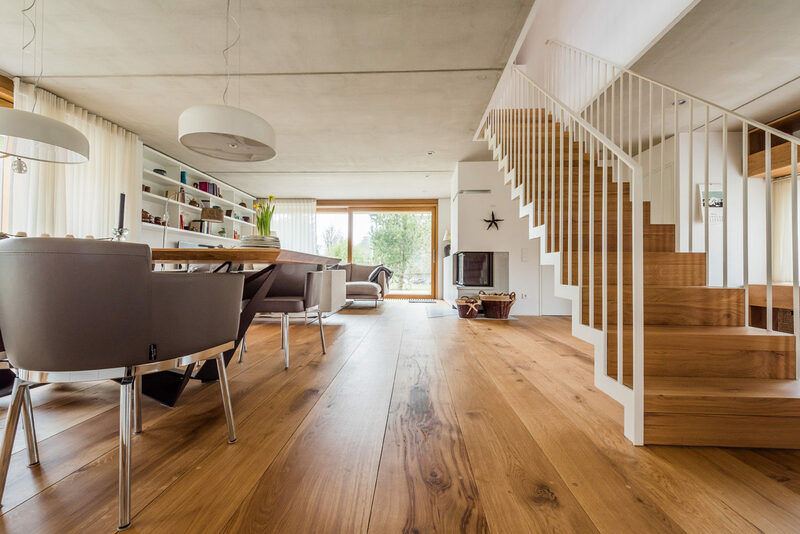 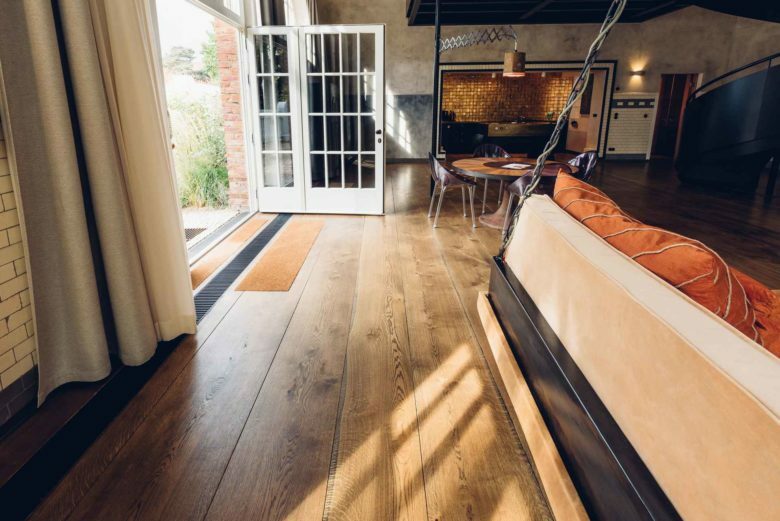 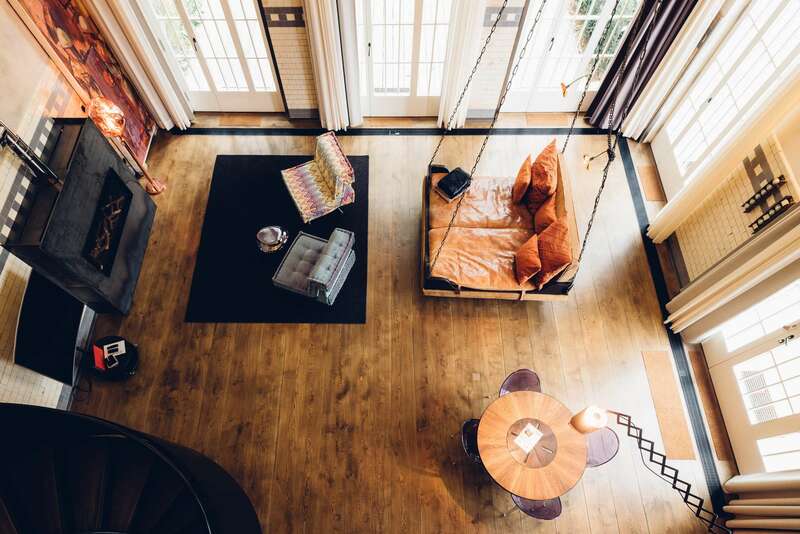 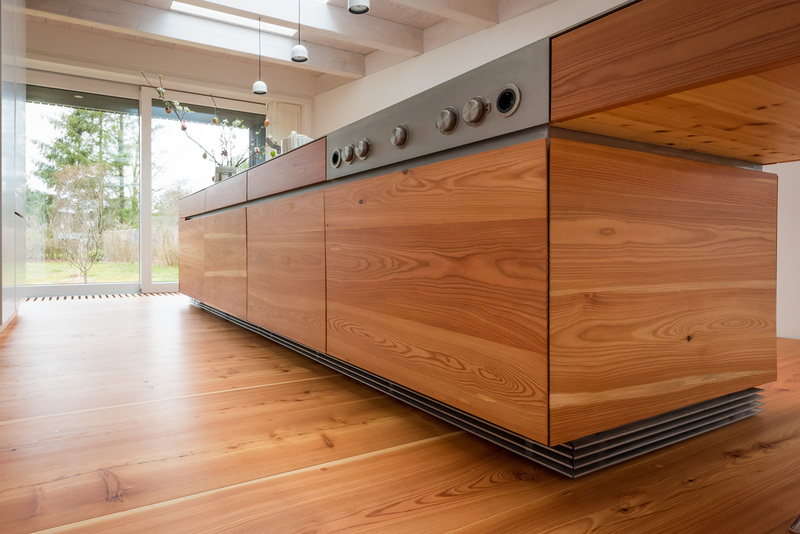 Consciously reduced in its color design, the Berlin old-style apartment retains a traditional yet contemporary look through the solidity, warmth and living structure of the wood. 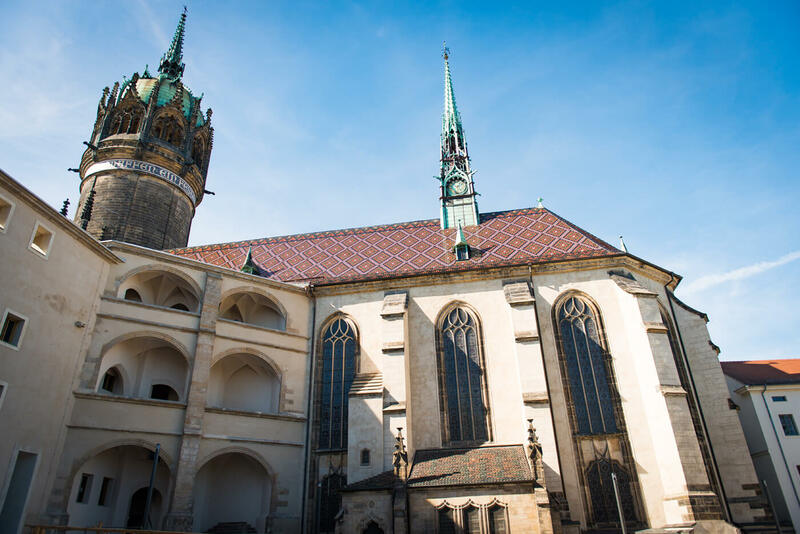 Luther’s Church appears graceful on the 500th anniversary of the Reformation. 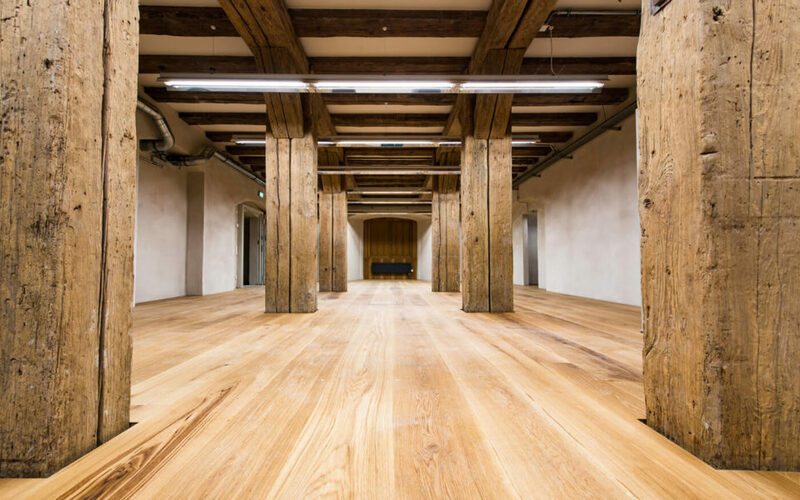 The solid rustic character of the building was preserved during its renovation. 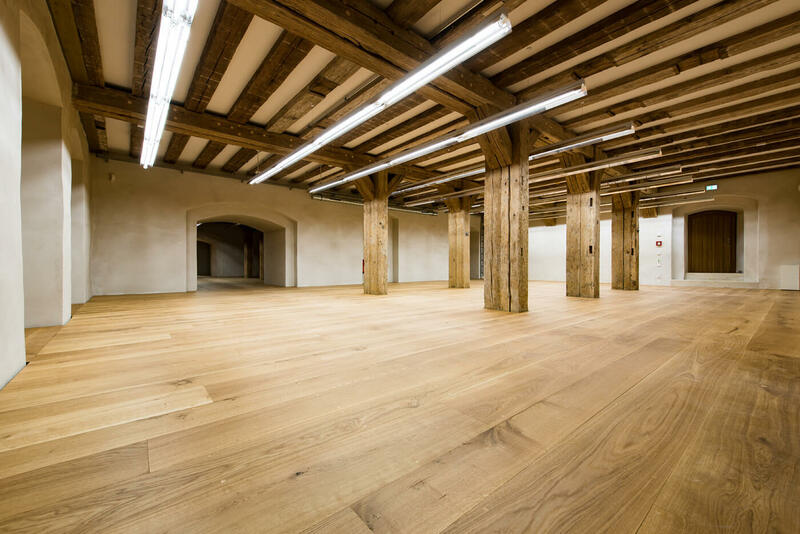 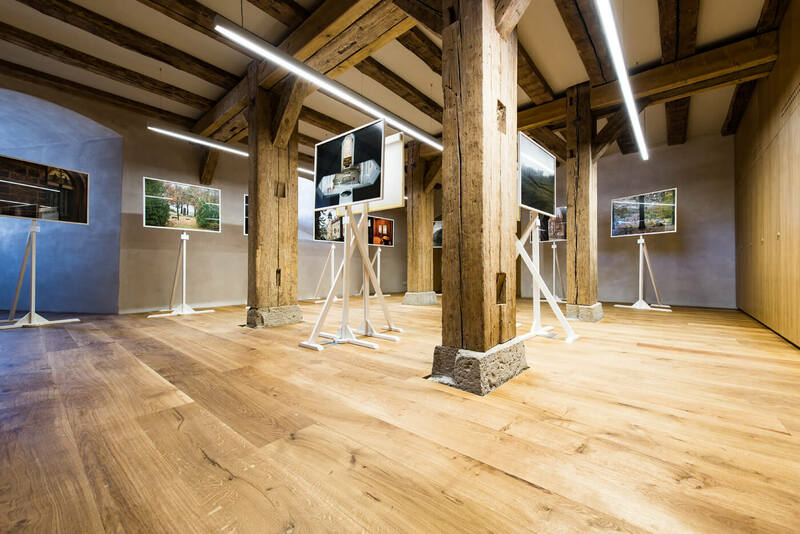 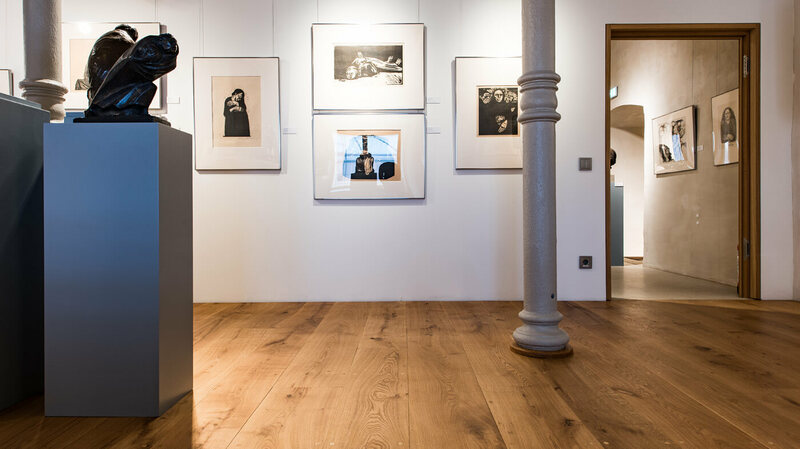 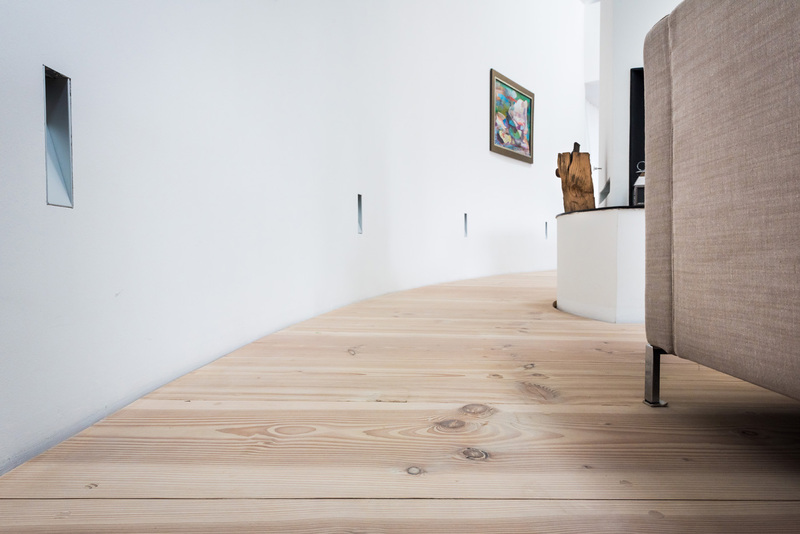 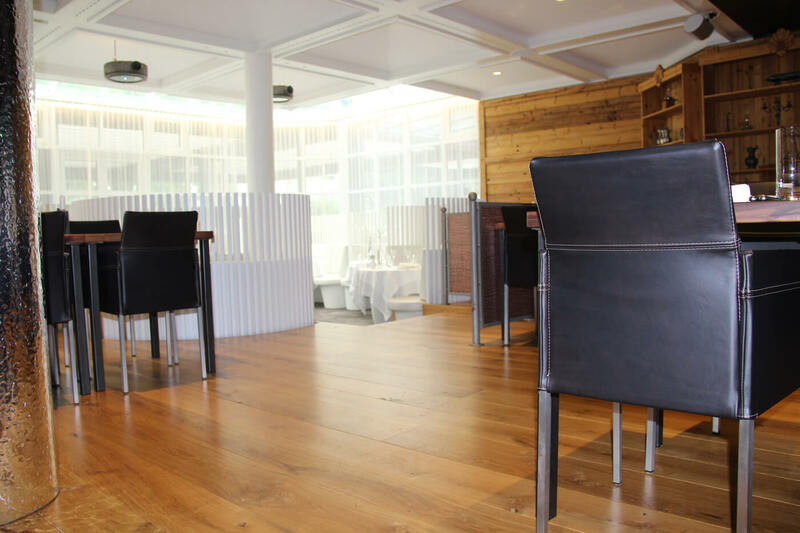 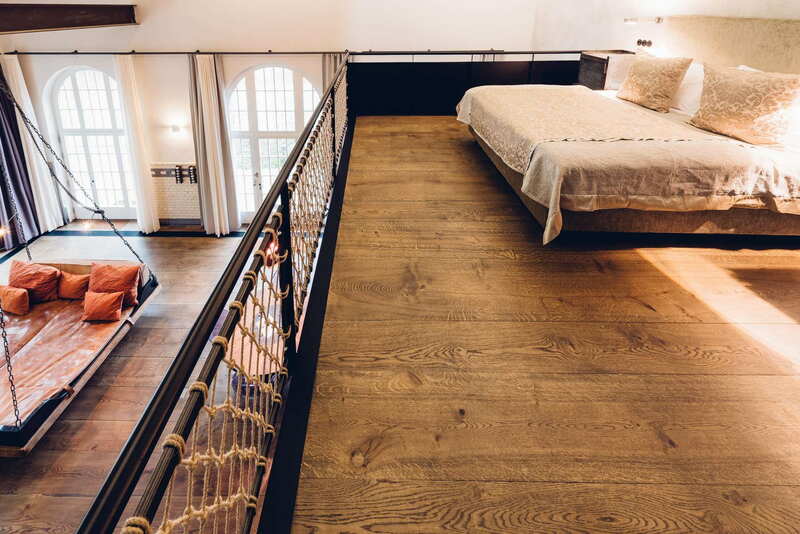 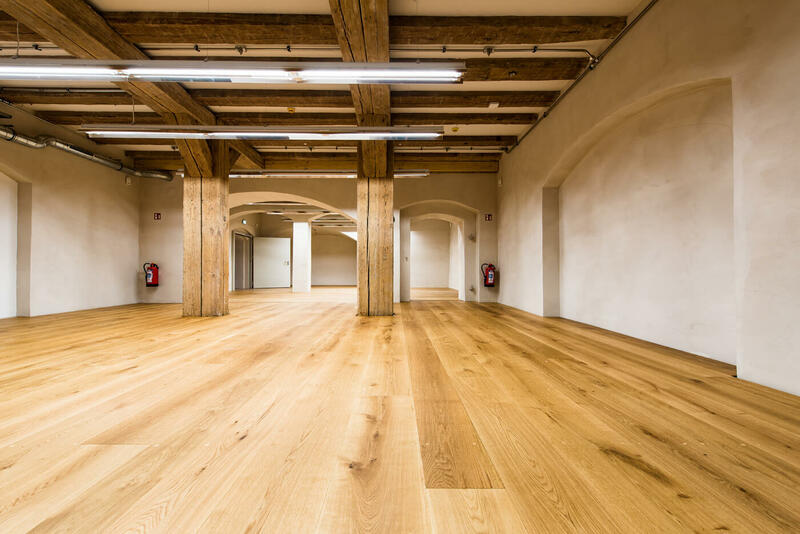 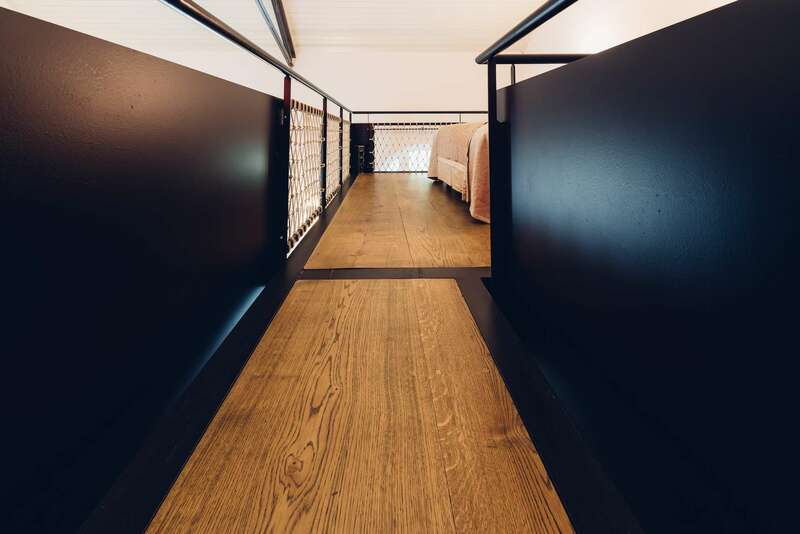 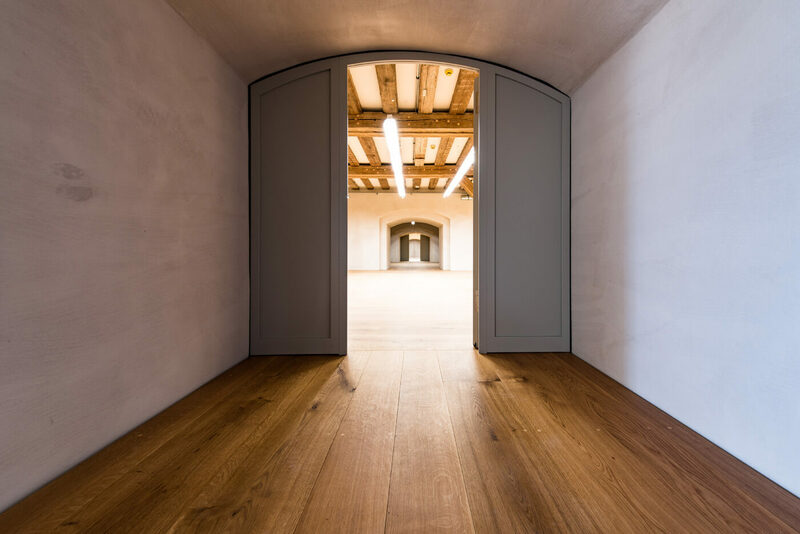 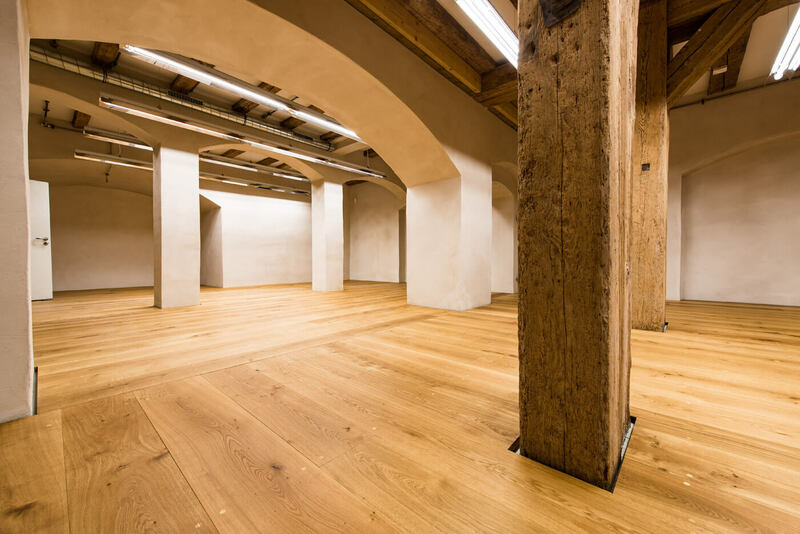 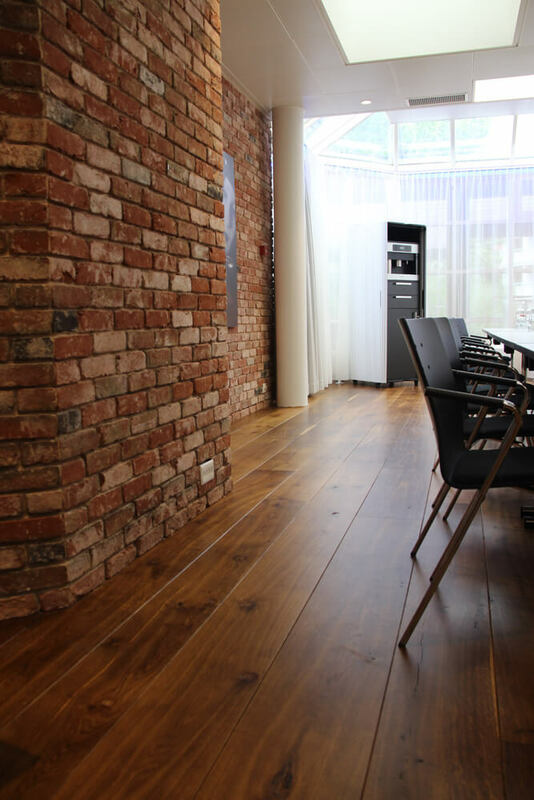 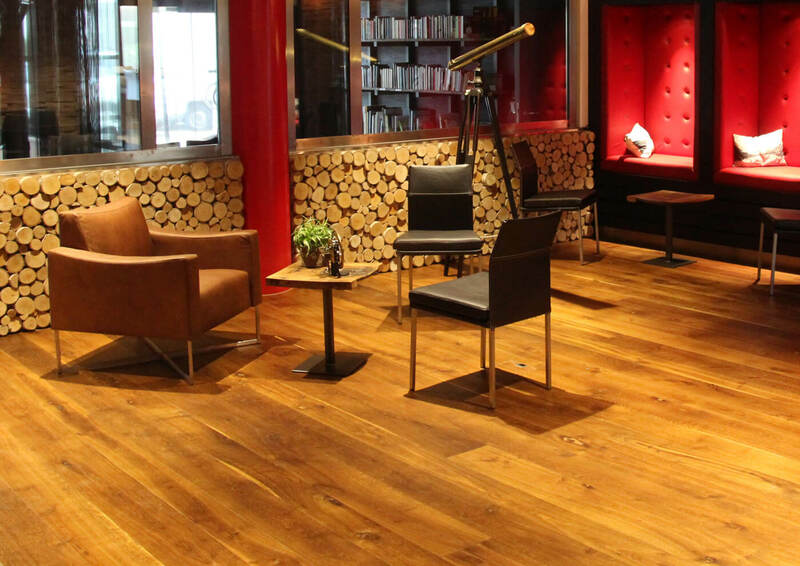 Our solid, oiled, endless oak plank flooring leads the visitor through history over an area of 2500 square metres. 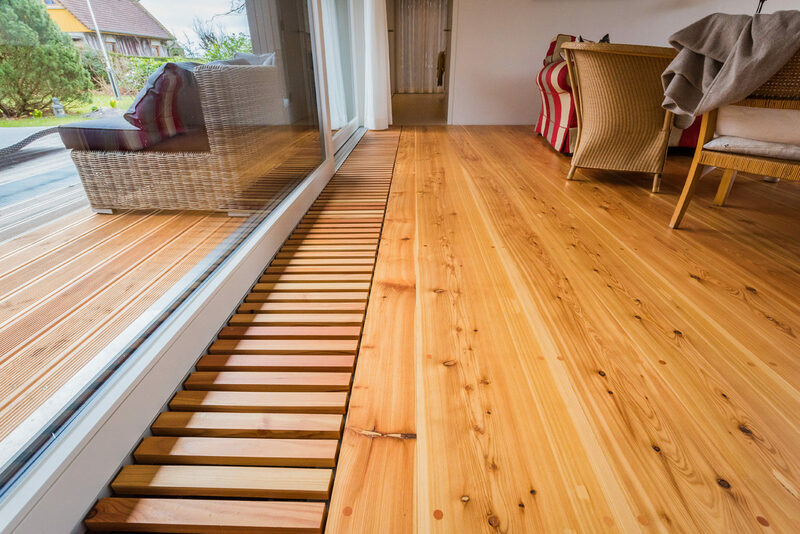 The lively surface of the larch, emphasizes the country house character of this modern detached house. 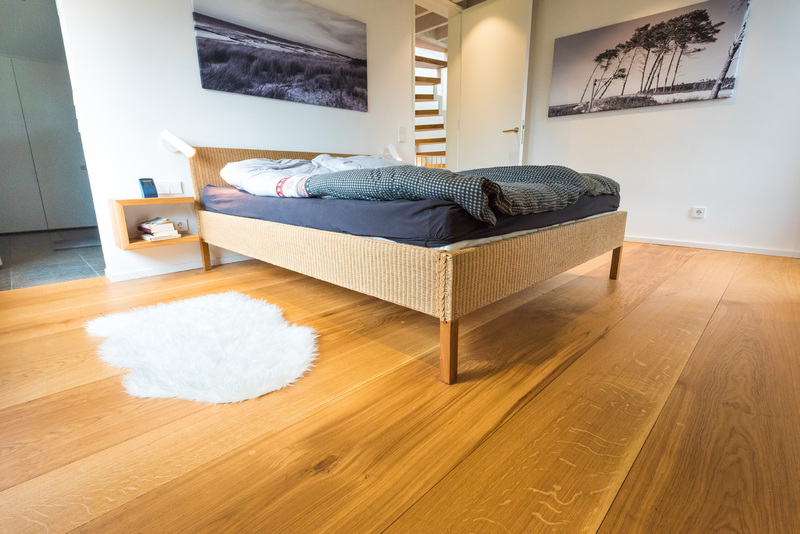 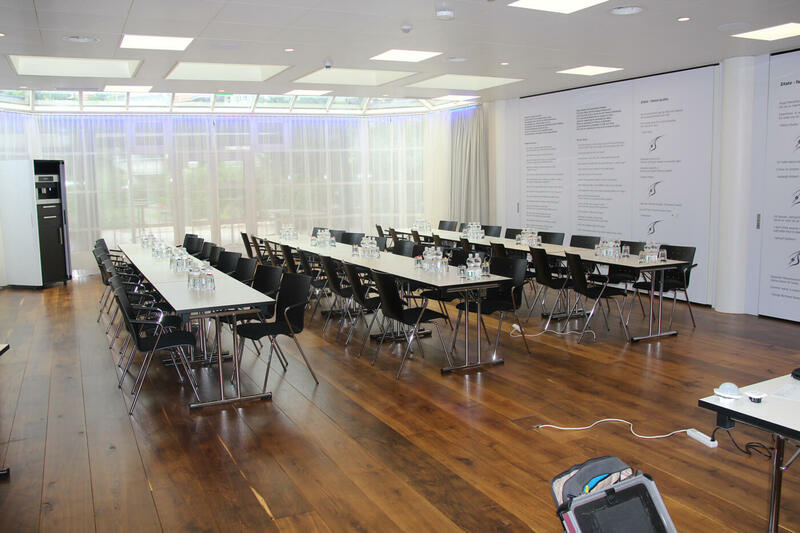 Nevertheless, the room design looks straightforward and reduced, also because of the choice of room length planks. 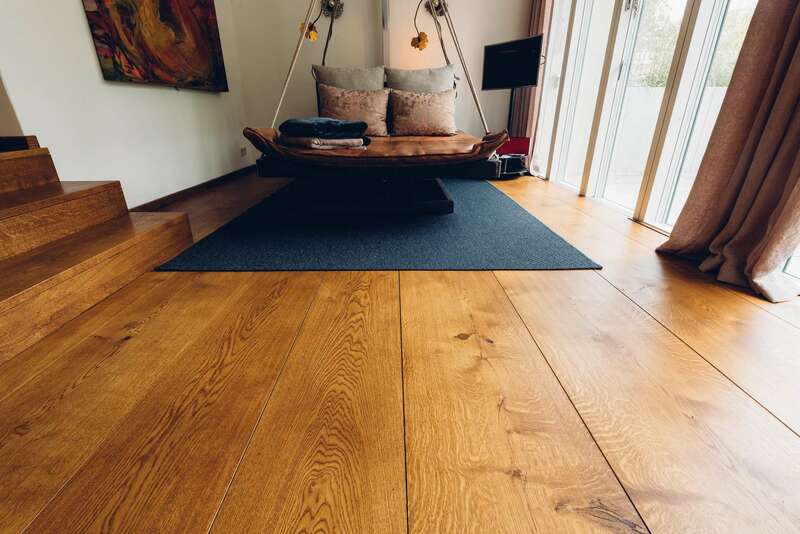 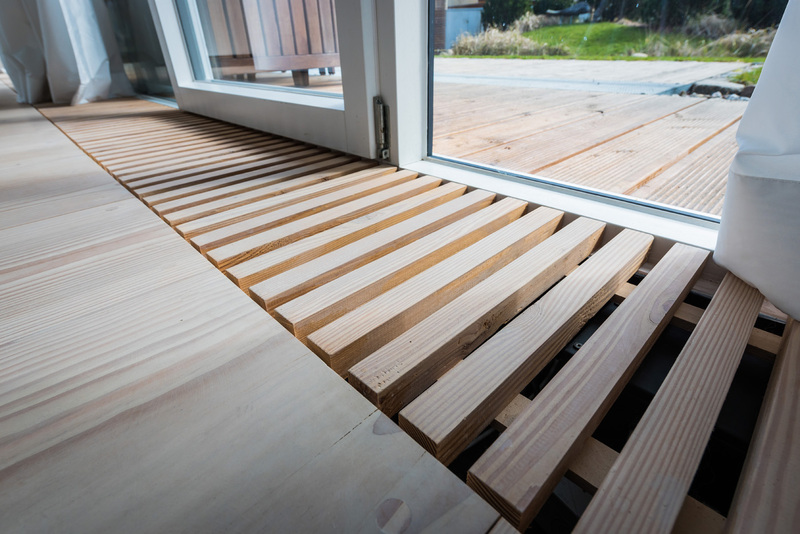 The cozy radiance gets its ambience through the warming color of the natural matt-oiled larch. 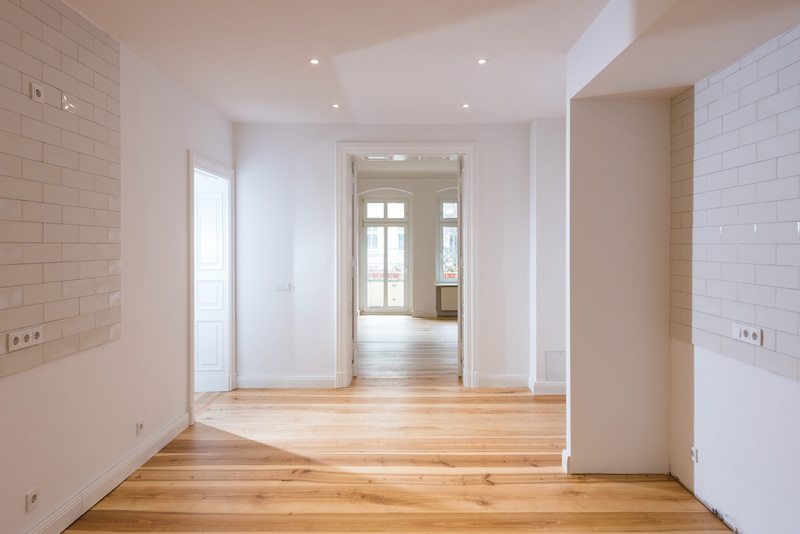 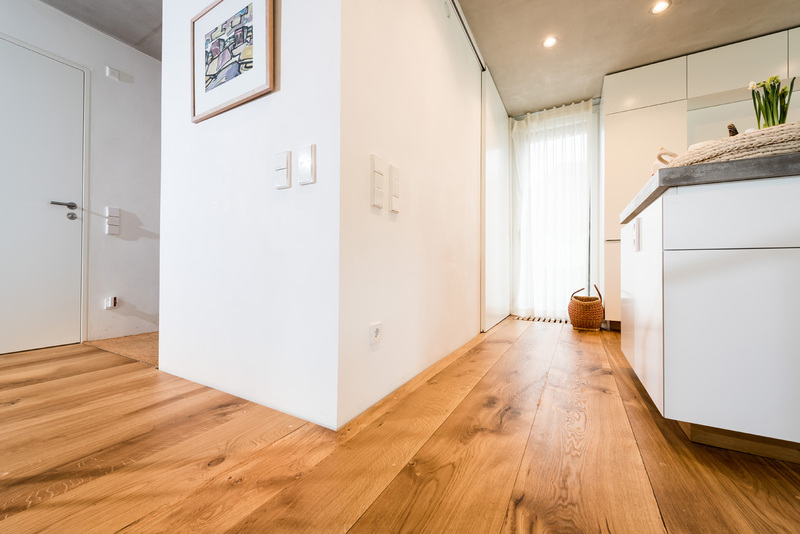 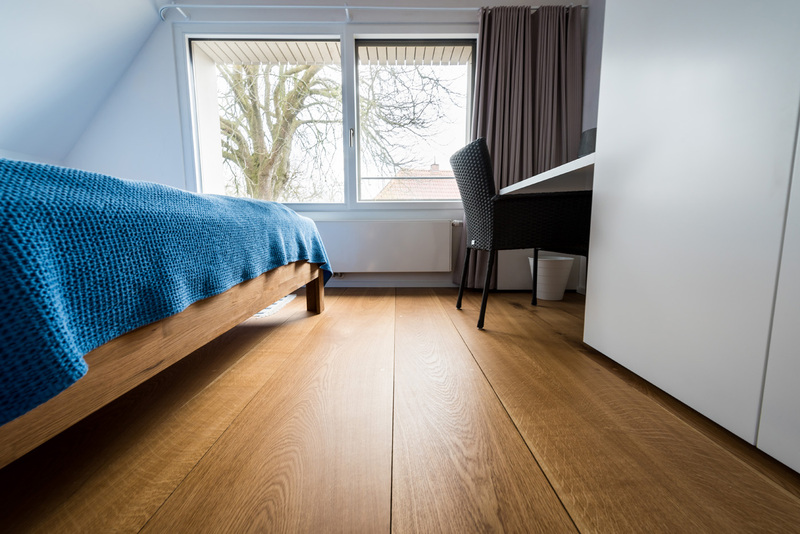 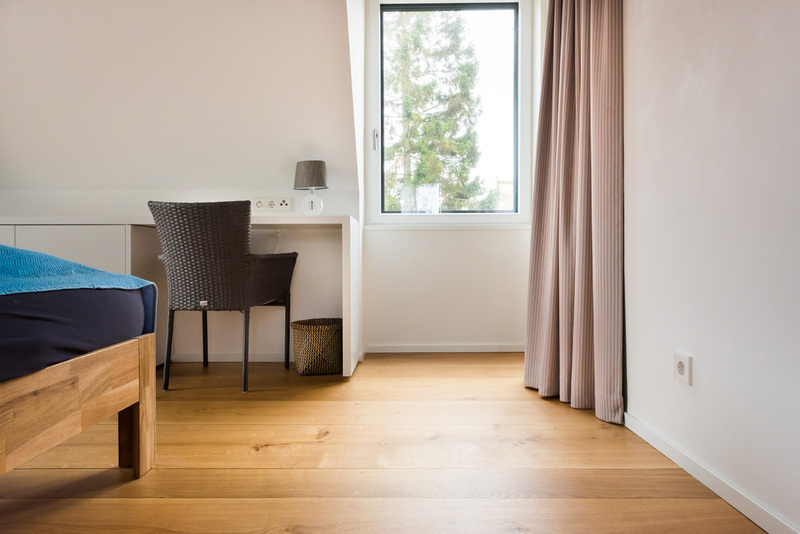 An elegant and natural floor should be integrated into the design of the rooms. 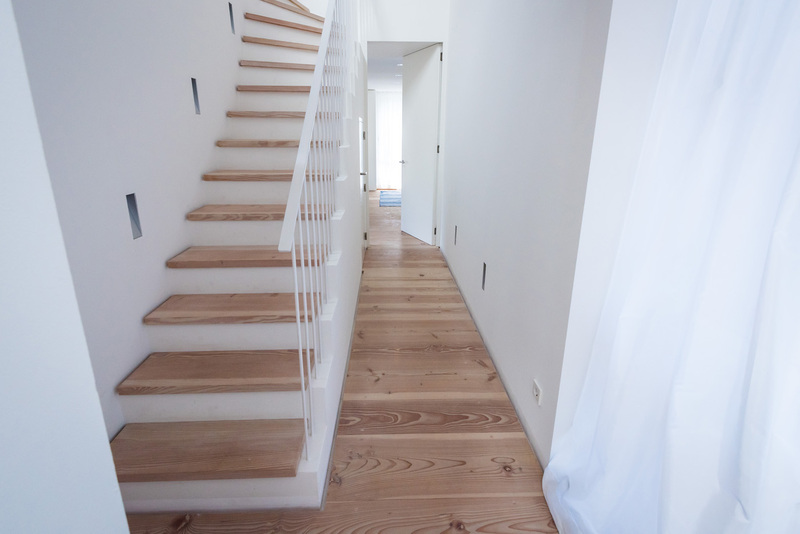 Here, the client opted for an endless board in oak. 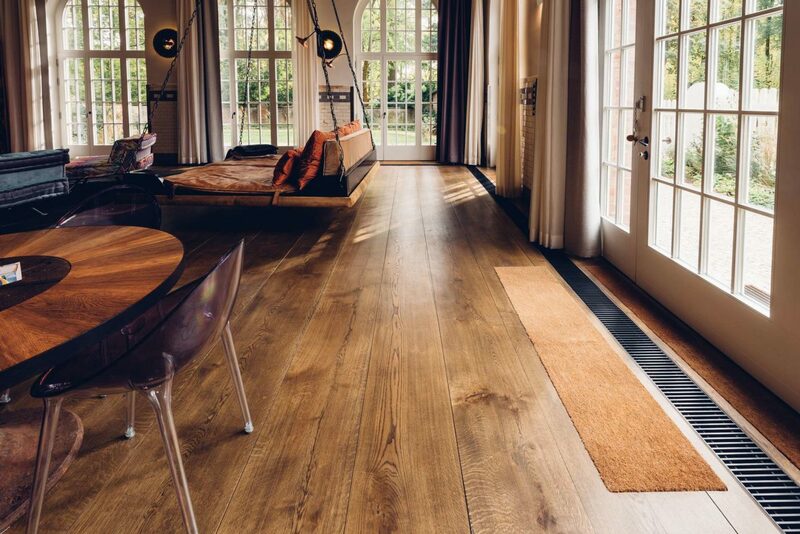 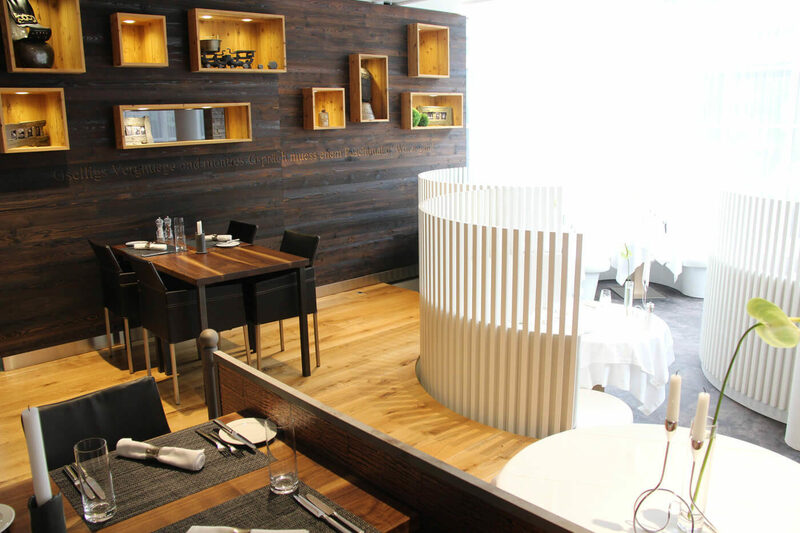 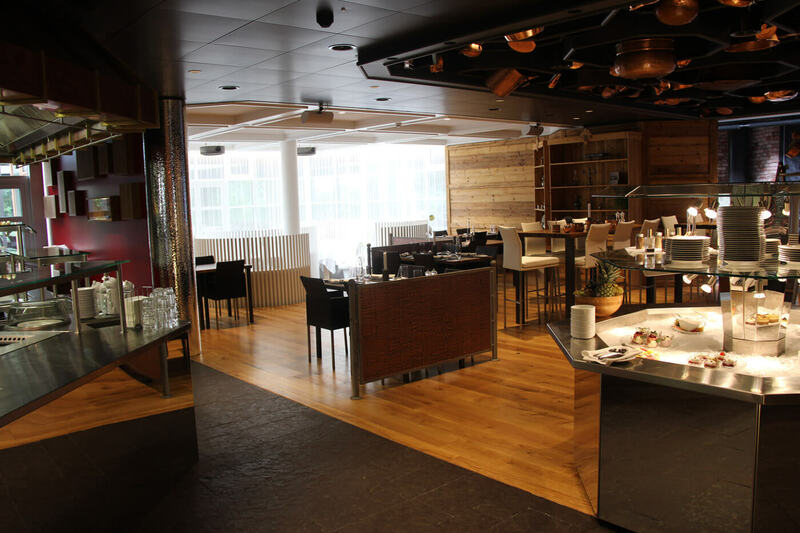 Depending on the room, the surface was smoked dark or oiled natural oak. 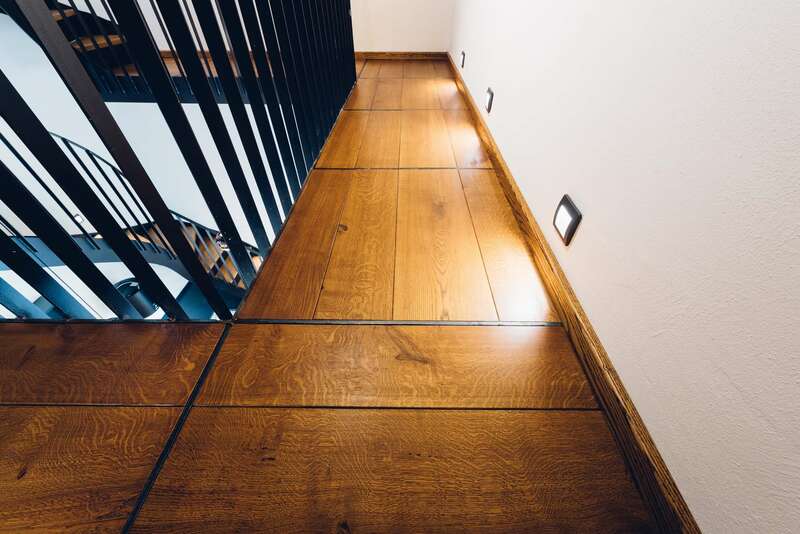 Here, the client opted for oak planks in lengths up to 11m. 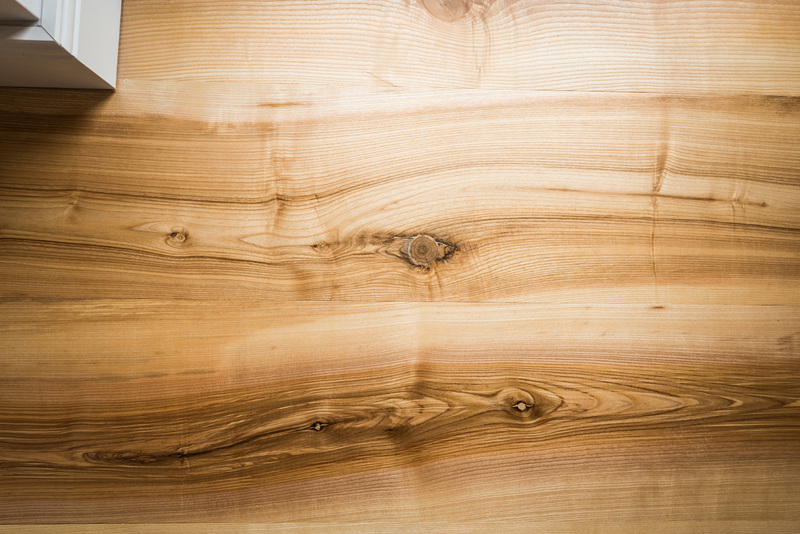 Showing the entire trunk length enables the entire life story of the tree to be told. 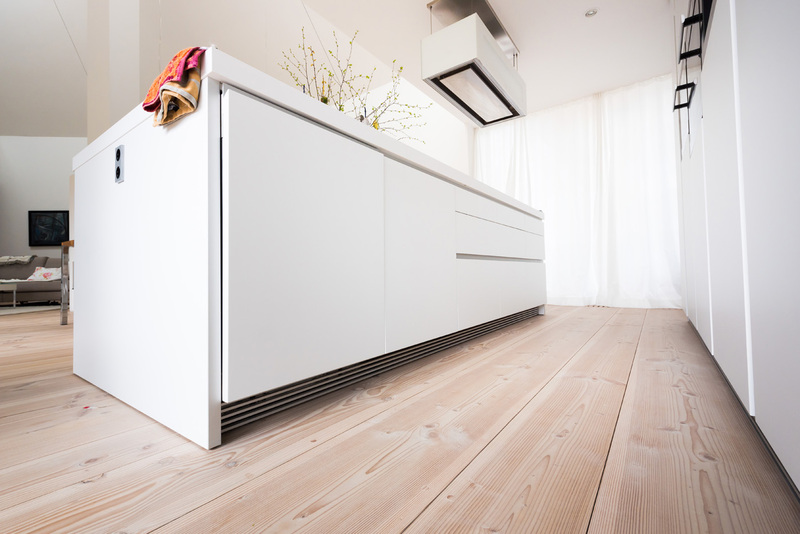 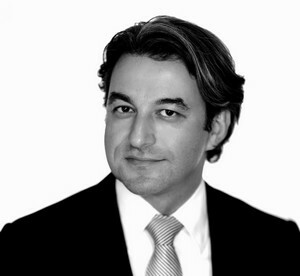 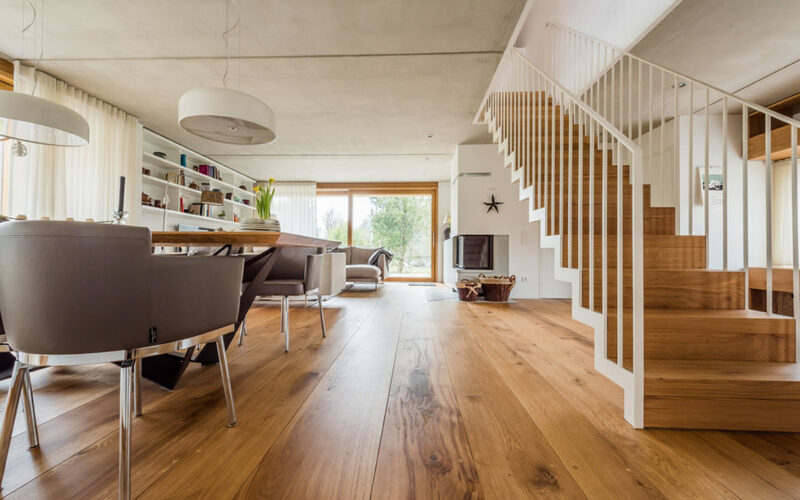 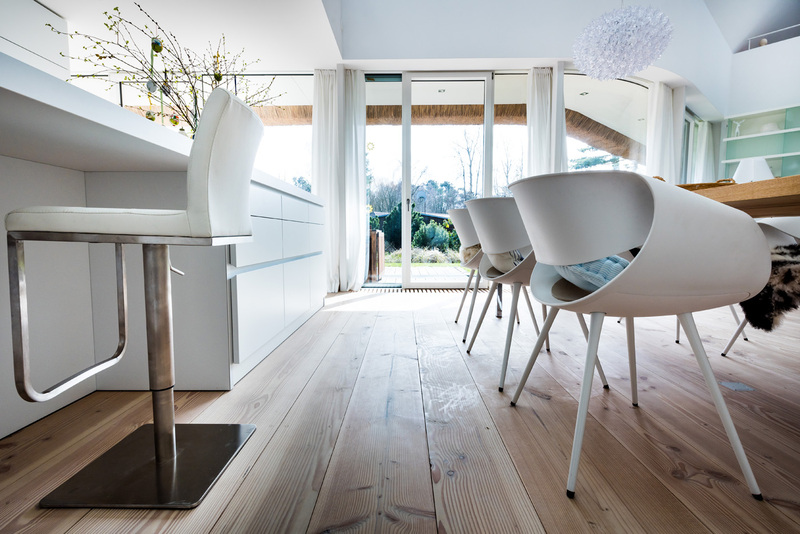 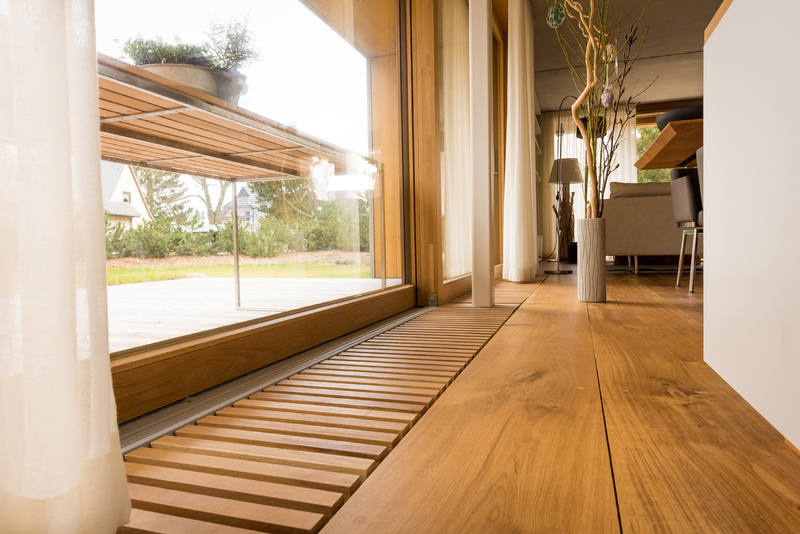 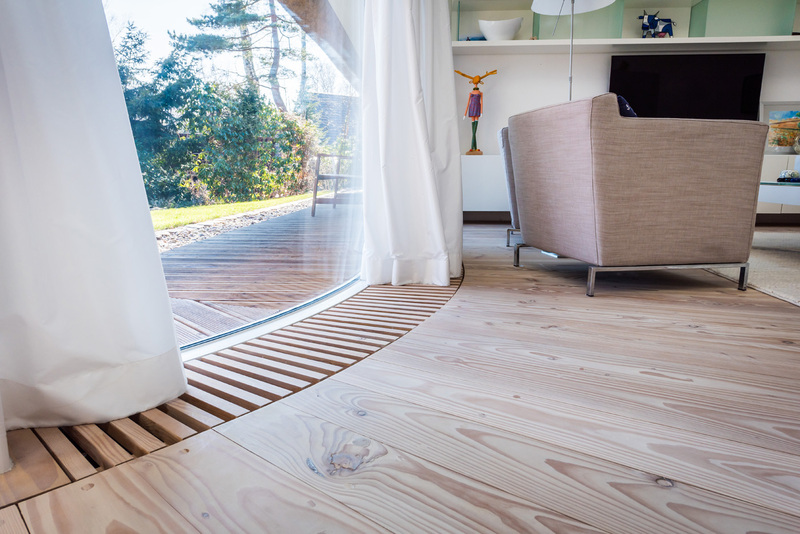 The modern design gets its natural character through the choice of the floor. 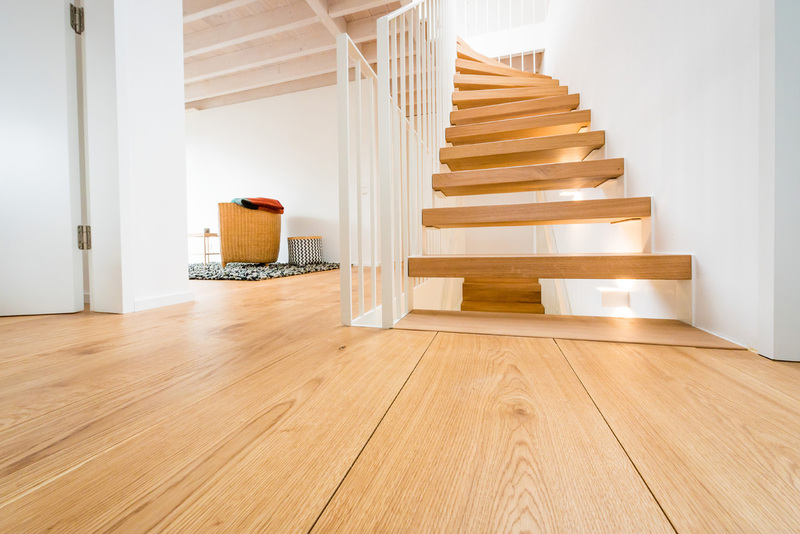 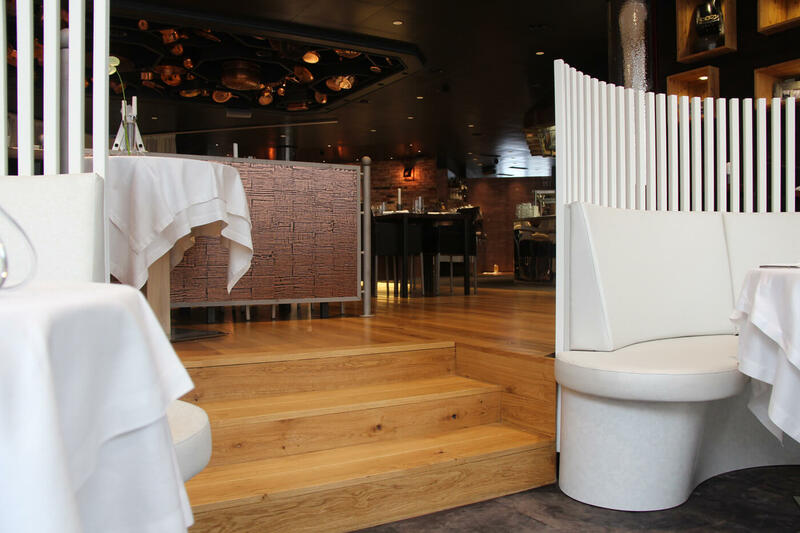 This is rounded off with the suitably manufactured stairs which we made to match.